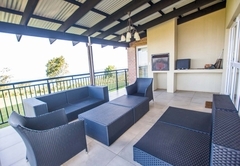 HoyoHoyo Angel's View Eco Estate is a property providing self catering in Graskop for tourists visiting the Panorama Route region. 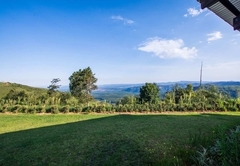 HoyoHoyo Angel’s View Eco Estate is a beautiful estate 3km from Graskop in Mpumalanga. 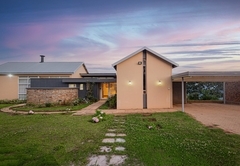 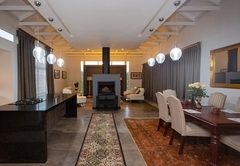 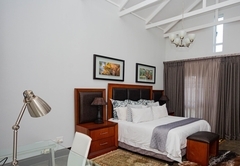 Centrally situated on the Panorama Route close to the Blyde River Canyon, Bourke’s Luck Potholes and Kruger National Park the estate is situated in a malaria free area. 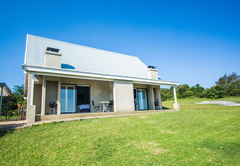 Both of Angel’s View Eco Estate’s accommodation options offer guests a welcoming experience with all the amenities for a peaceful self catering experience. 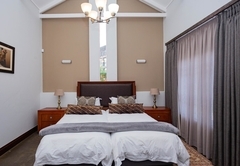 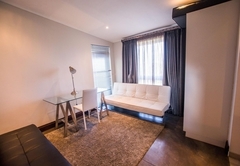 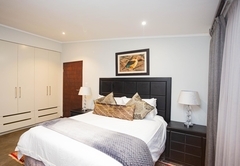 Khoza House contains four en-suite bedrooms, two with twin beds, one with a queen bed and one with a sleeper couch for children. 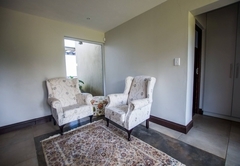 The house is fully furnished and equipped for self catering. 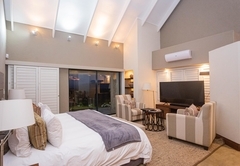 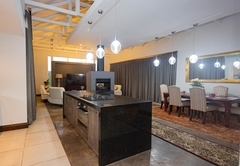 There is a covered patio, braai facilities, two reception areas and an open plan fully equipped kitchen overlooking the captivating natural scenery. 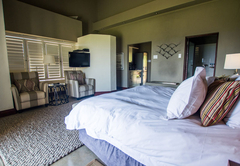 The chalet has one bedroom with a King sized bed. 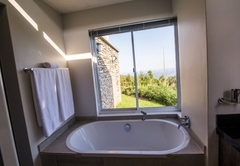 There is a fully equipped kitchen, a large bathroom, an indoor seating area and a covered patio to spend hours soaking up the spectacular views. 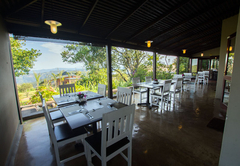 Angel's View Eco Estate has a 50 seater restaurant with magnificent views onto the Lowveld. 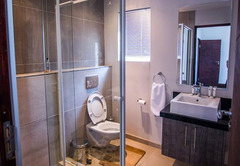 4 Bedrooms all en-suite. 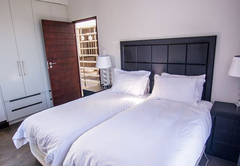 Two with twin beds, one with queen bed and one with sleeper couch for children. 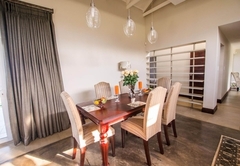 Fully furnished and equipped for self-catering. 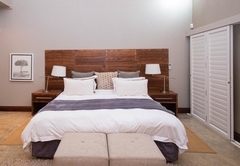 Chalet with one bedroom with King sized bed. 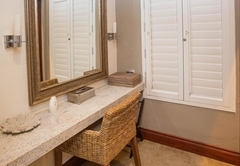 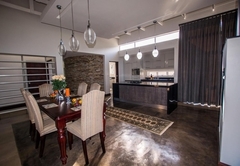 Equipped with an en-suite bathroom, kitchenette, a private patio and lounge. 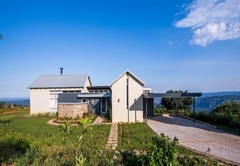 Response timeHoyoHoyo Angel's View Eco Estate typically responds to requests in 5-10 minutes.